Well Christmas is over, thank goodness as my daughter and grandchildren were ill all day Christmas Day and my daughter still is, poor thing. In between running up and down stairs to her I have managed to make a birthday card! 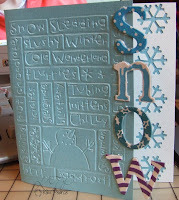 Inspiration from Becky Stewart on Pink Petticoat & using all PP papers. I was at a class at Crafts U Love recently and saw one of these dinky little fine tip glue applicators that Wendy had. I ordered 2 and they have just arrived, they are fantastic! You can get them from here they come with a pin and they also sell spare pins for the top which stops the glue drying out. 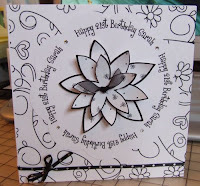 4 of my 5 children have birthdays in early Jan and Feb so I am going to be busy making cards!!! 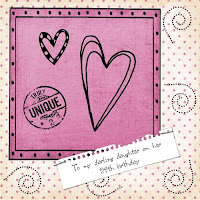 This is for my eldest DD who is 29 on 4th Jan. I used Designer Digitals digi papers and doodles and a digi stamp for the ‘truly unique’ and the frame is from ‘I made this today’. Sarah (my son’s girlfriend) is 21 on New Years Day and he asked me to make him a card. I thought black and white is nice and modern and fresh. The greetings circle and the flowers were all cut with the Cricut Expressions. 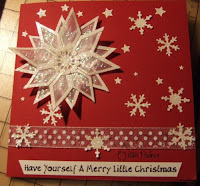 I used some yummy chipboard letters on the edge of this card and the left over waste snowflakes stencil pattern from the paint pail! 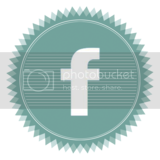 Wow and what a lot I got! I bought the whole set of each shape, circle, square, rectangle and oval because I know I will use them. 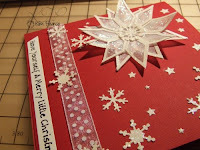 Made with the 2 SU punches stuck onto vellum and glittered and Cuttlebug snowflakes and stars added.